LAHORE (92 News) – The holy night of Shab-e-Barat, filled with divine blessings and forgiveness, will be observed across the country tonight (Tuesday) Sha’ban 15. 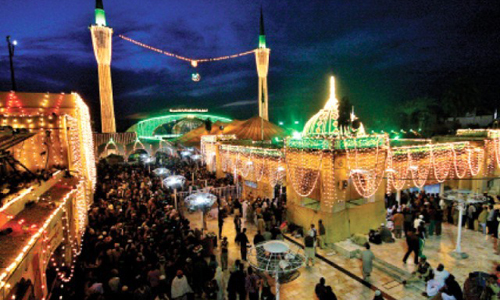 Faithfuls will offer night-long special prayers, while various gatherings included Mahafil-e-Na’at have also been arranged in mosques to mark the holy night. Religious scholars will highlight teachings of Islam and various aspects of the life of the Holy Prophet (PBUH). The houses, streets and especially mosques will be decorated with colorful lights. Channel 92 News HD will also broadcast a special transmission on this occasion.